Manufactured by: Daico Industries, Inc.
New family of low noise amplifiers from Daico Industries provides small signal gain in 1dB increments up to +19dBm (P1dB). 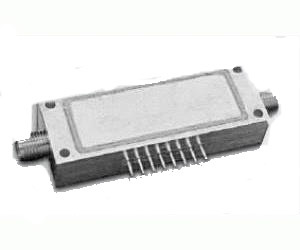 Output any gain value from -1to 30 dB precisely using embedded digital attenuators. Three models operate 60 to 2100 MHz with NF down to 1.3 dB; includes internal limiter and SMA connectors. With these new variable gain LNAs, one can digitally program the exact small signal gain required for a high performance system while maintaining excellent noise figure, e.g., 12 dB, 18 dB, 29 dB or whatever gain is desired. And a +20 dBm CW limiter is included at no added cost to NF. Custom solutions can also be provided for special requirements.